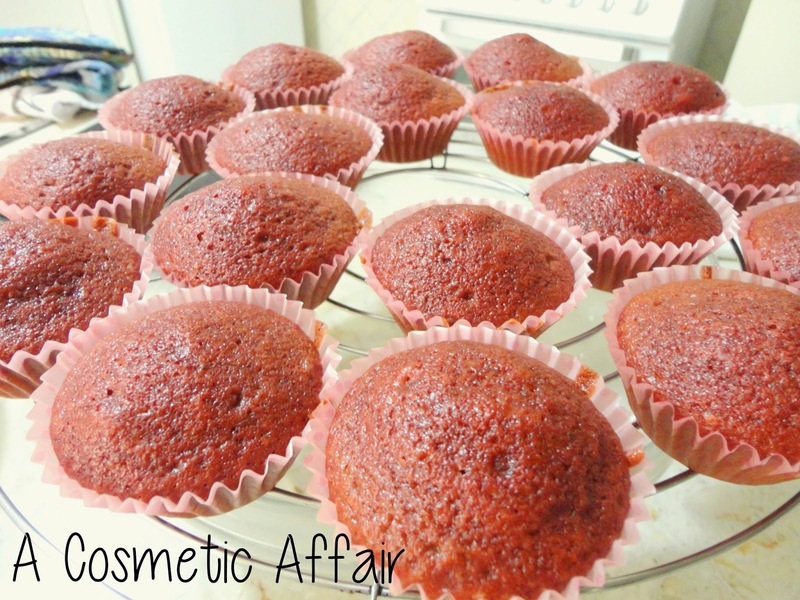 Last week I baked Red Velvet Cupcakes for the first time. 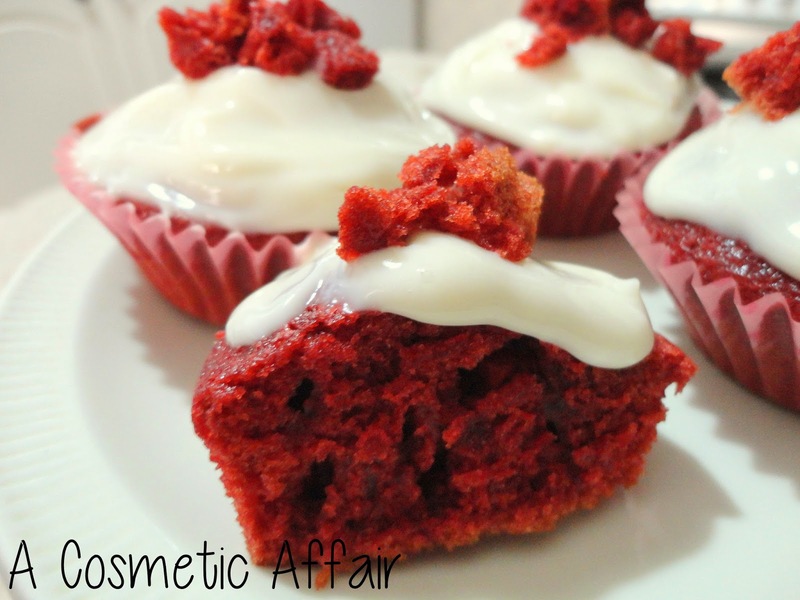 I am a big Red Velvet Cake lover so when I came across this recipe for cupcakes I just had to give it a go. If you are anything like me and love sweets and baked goodies you will enjoy this recipe and hopefully also give it a go. 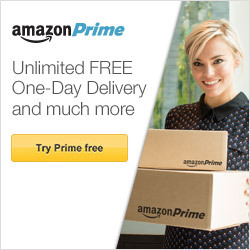 It is super simple! 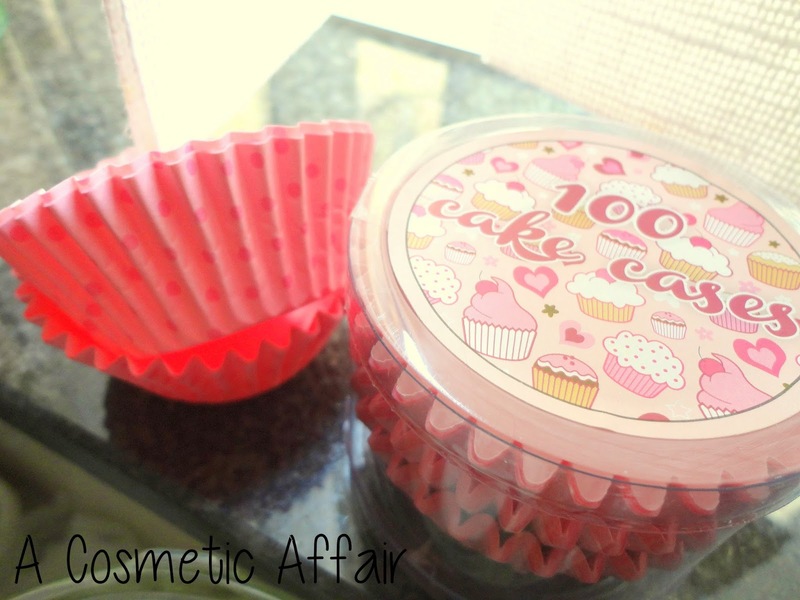 Since I was baking red velvet cupcakes I decided to go for pink polka dot cupcake cases. 1. Sift the flour, cocoa powder, bicarbonate of soda and baking powder into a large bowl. Stir in the sugar. 2. Whisk buttermilk, oil, eggs, food colouring, vanilla extract and vinegar in a jug. Add to the flour mixture slowly until well combined. 3. 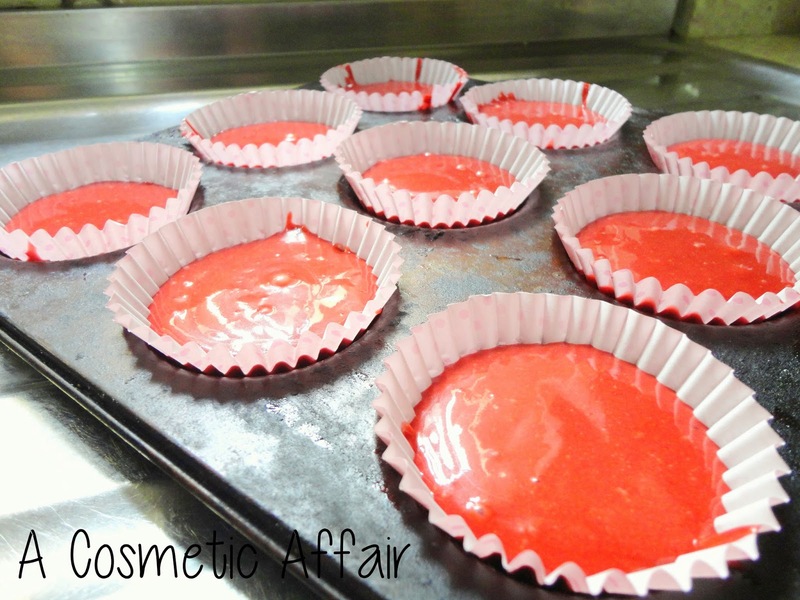 Line your cupcake tins with cases and divide the mixture. 4. Bake in a preheated oven at 180°C for 15 to 20 minutes. This mixture made 25 cupcakes but it depends on the size of your cases and how much of the mixture you put in. I know they look a scary red colour here but once they were baked, the colour was not that strong. My cupcakes baked for about 15 to 20 minutes, but keep on checking them. Just skewer one and if it comes out clean then it’s done. 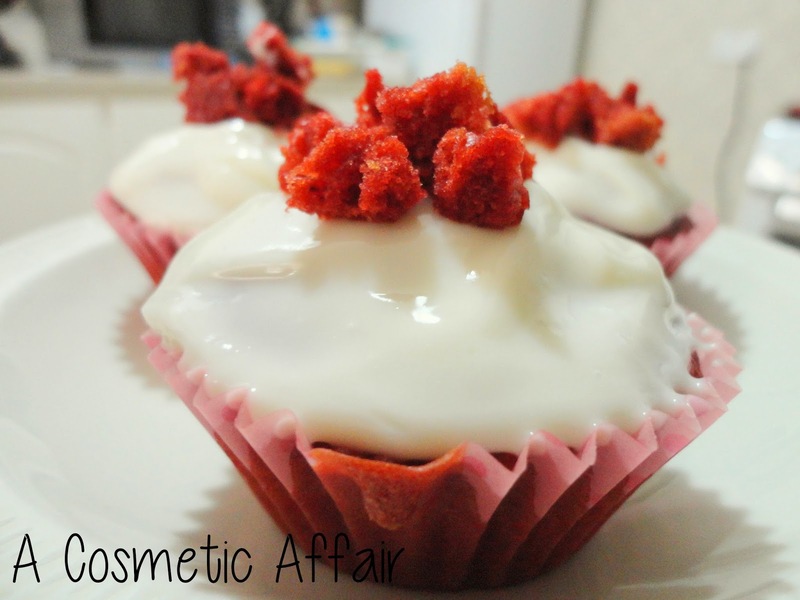 I decided to decorate mine using my favourite cream cheese frosting which is super easy to make and really tasty. Just mix cream cheese and add gradually icing sugar in a bowl until the mixture is a nice and firm but not too hard. Don’t forget to add a dash of vanilla extract too. I cut up one of the cupcakes and used is as decoration on top of the frosting. This is how they turned out on the inside! 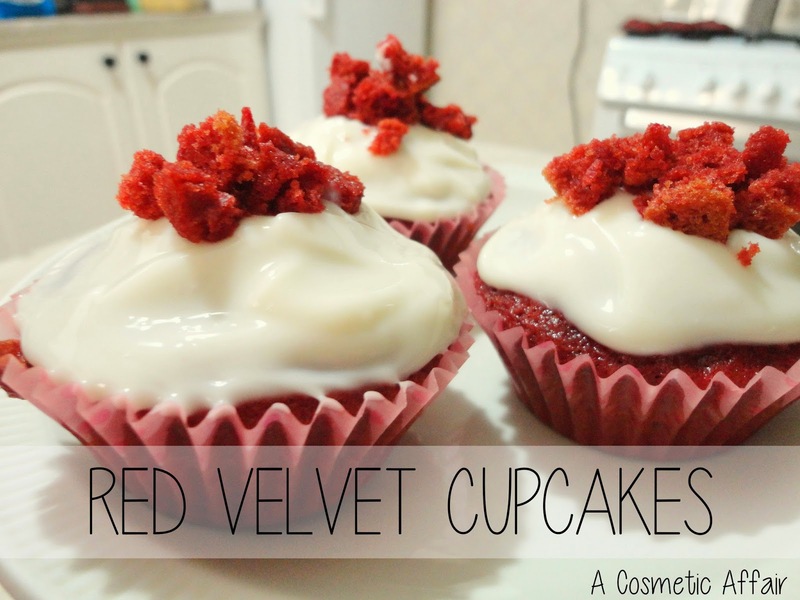 Once you decorate them, store in the fridge or they will be ruined. Hope you enjoyed this recipe and let me know if you enjoy foodie posts! Next > POTW: Catrice in Pink Me Up!